Peru, a country of many different aspects, from the coast with towns like Lima and the beautiful north of Peru with some of the best surfing beaches in the world, to the jungle with the mighty Amazon River and the magical jungle. You must also visit the highlands of Peru with all the ancient Inca Ruins, also when traveling in the South of Peru you must visit the high Andean town of Puno and the surrounding regions. The town itself does feature a pretty town square but no ruins and spectacular mountain scenery of Cusco and the Sacred Valley, but its main draw card for tourism is the Lake Titicaca. 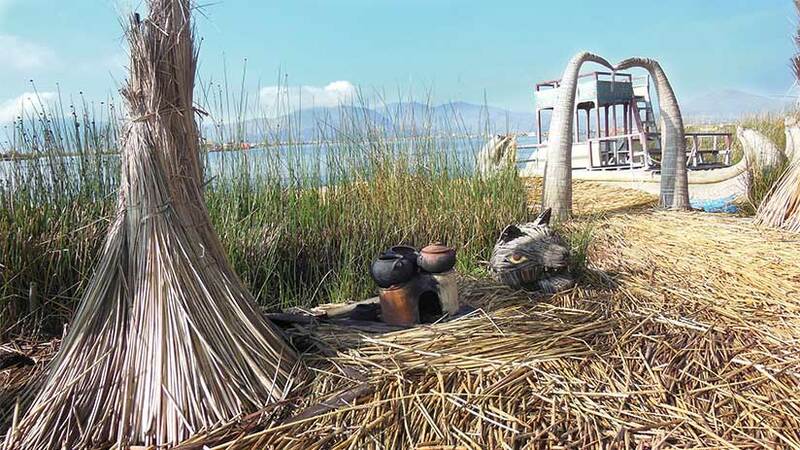 Puno is the starting point for any journey to the Uros Island and Lake Titicaca. 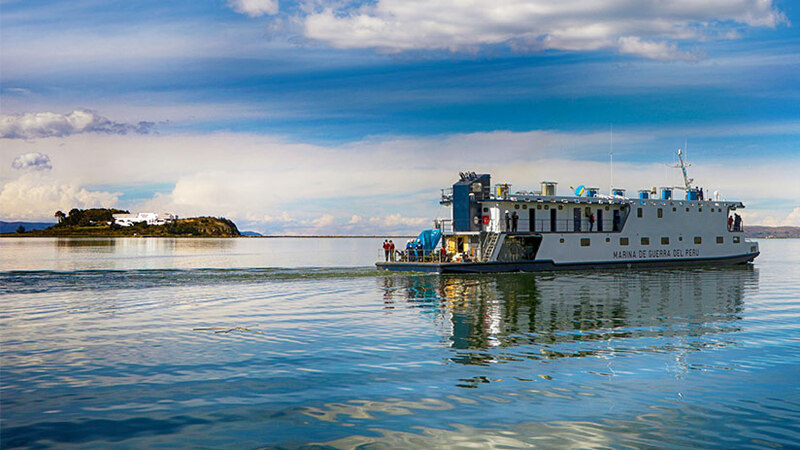 Where is Lake Titicaca located? When you arrive into Peru, which would most likely be Lima International airport, you will need to take another flight to Juliaca in the south of Peru then you will need to transfer by car to Puno a journey of around one hour. If you are by chance in the city of Cusco, a six-hour bus ride will find you in the city of Puno where the lake is located. Traveling from Machu Picchu to Lake Titicaca you can catch a train to Cusco through the Sacred Valley of the Incas and then another train over the high plains to Puno, both are luxury trains and both are very scenic journeys and both a must for the train enthusiast. 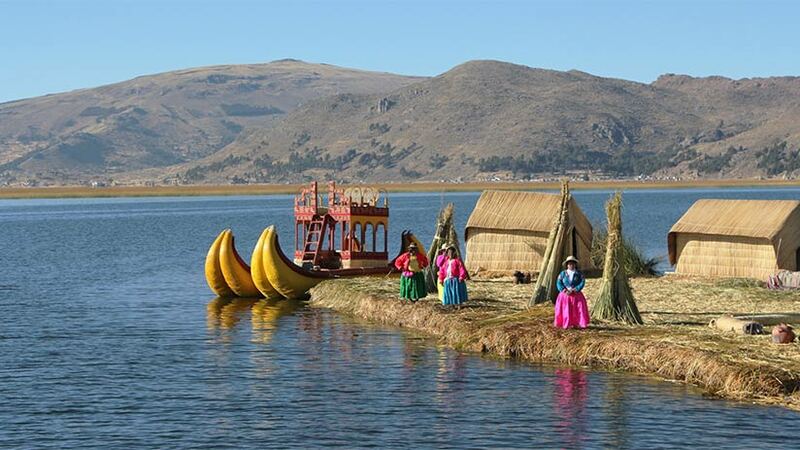 Once in Puno the lake is a place you must visit, especially the interesting Uros Islands. With a fascinating history, the Islands themselves are made of layers of dried totora reeds that are woven together so they can actually float. Every six months new layers of reeds are added to the islands and the locals say that the islands can last for up to thirty years if maintained correctly. The houses and boats are also made from the same dried reeds, using the same method of weaving that the islands are constructed, some of the boats are very decorative, and these day the boats are used to take the tourist from Island to Island, mostly for a small fee. The people themselves are very private and family orientated. There are only a few islands open to the tourists the rest consist of family homes and tourists are not allowed to visit these islands. The local inhabitants lead a simple life consisting of hunting, fishing, making boats and souvenirs for the tourists. The people rotate the services to the tourists every day to keep the balance between traditional life and the tourist life. Everyday a limited number of visitors are allowed on the islands, so when not working with tourists the locals go about their daily life, so in high season it may be a good idea to book in advance. The Uros people eat a diet mainly taken from the lake so eating many fish is the main stable in their diet. When the totora reeds are pulled for everyday use, the root is also eaten as a rich source of iodine, it is also used for medicinal purposes. 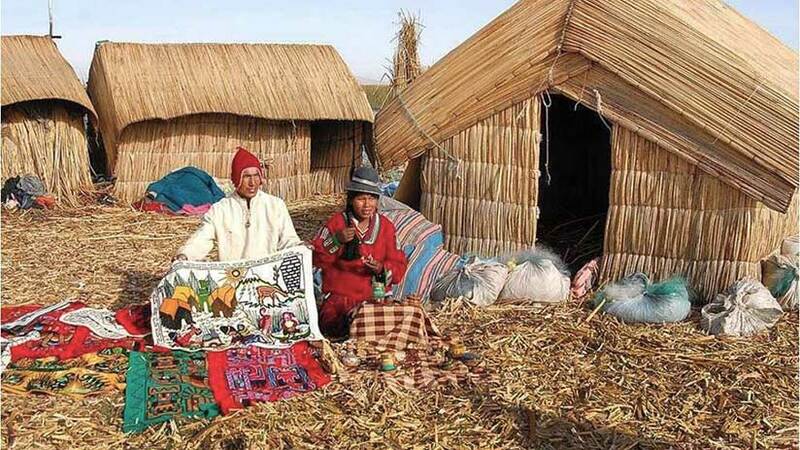 The Uros people do a lot of hunting for birds so game is also a source of food. The islanders also keep ducks and guinea pigs to eat as part of their diet. Vegetables are also grown and other sources are bought from the mainland by boat. There is a small Christian school on the islands that the children attend every day. 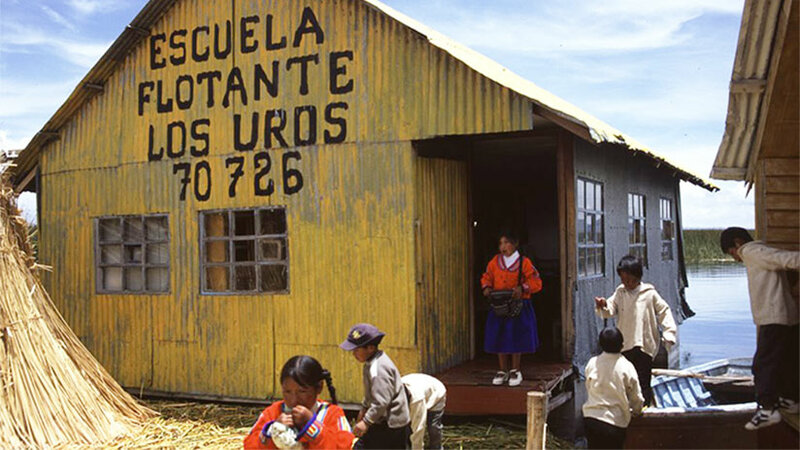 The children have to row their boats to school every morning and back home in the afternoon, as the children reach high school age they go to Puno to school. Every year an increasing number of children are leaving the islands to attend University and to find a new life on the mainland; this seems to be a factor in the Uros people’s way of life steadily disappearing. The people on the islands have a hard life and have to deal with harsh climate so it seems that the younger generations are now looking for a more modern way of life. This is a sad reality that one day there may be no one left on the islands to continue the traditions. If you want to venture further on the lake on your Peru holiday, consider a trip out to the rock islands of Taquille or Armantani, These islands also receive tourist and offer homestay type accommodation. The tours to these islands are interesting just to see how the local people live. The accommodation is very basic with no running water and outside toilets so be prepared to rough it, there are some restaurants with fish featuring on every menu. The trip out to the islands is around four hours and the nights are freezing cold. It is advisable to use sunscreen and a good hat on any trip you do on Lake Titicaca, as the sun is very strong and you will burn. Take a trip down to Lake Titicaca and visit the interesting Uros people, the photo opportunities are many and the experience unforgettable. Why not book a tour to fabulous South America today and cross Peru off your bucket list. The Uros People wait for you with open arms and are happy to show you their way of life.